If you have been charged with the possession of a prohibited drug under section 10 of the Drug Misuse and Trafficking Act 1985, speak to an experienced drug lawyer at O’Brien Criminal and Civil Solicitors. We can provide you with advice on your legal options including your legal rights, possible defences and penalties. It is important that you speak to an experienced drug lawyer before entering a plea. What sort of substances (drugs) is it prohibited to possess? The full list of prohibited drugs can be find under Schedule 1 of the Drug Misuse and Trafficking Act 1985. If you are found in possession of a traffickable quantity of a prohibited drug (as listed in the table under Schedule 1), it is presumed that you possess the drugs for the purposes of supply, unless you can prove that they were only for personal use. This charge is more serious than a possession charge and with it comes higher penalties, therefore, it is important that you speak to a lawyer about your legal options. If you did not have knowledge that the drugs were in your possession, speak to one of our narcotics lawyers to get advice on your case. If the police found the drugs in an area that could be accessed by another person, you can argue that you did not have exclusive possession. For example, if the drugs were found in a shared area of your house. If the police did not have a ‘reasonable suspicion’ to search you, our drug lawyers can argue on your behalf that the police search was illegal. This can result in the charges against you being dismissed. Read our case study where we helped MHA get his charges dismissed after our drug lawyers argued that the police had stopped and searched his car outside their lawful powers. Before entering a plea, it is important that you speak to our experienced drug lawyers to determine whether you might have an argument for pleading ‘not guilty’, and are informed about the possible penalties you could face if you do. Where you intend to plead guilty, we can represent you in your sentencing hearing to get the best possible outcome. The type of sentence that you will receive will depend on the circumstances of your case. We are often approached by people who are worried about getting a criminal conviction which will impact on their current employment or future career prospects. Even where you plead guilty to possession of prohibited drugs, we can assist you in trying to avoid a conviction by asking for a ‘Section 10’ order. Our drug lawyers have helped a large number of clients in avoiding a conviction including TM – a teacher, KM – a medical practitioner and YP – a young person. We are experienced in helping clients apply to the court to have their cases dealt with under the mental health provisions. If you were suffering from a mental illness, mental condition or cognitive impairment at the time that you allegedly possessed the drugs, you may be able to have the charges dismissed by way of a section 32 mental health order. Speak to us if you are thinking about appealing your conviction or sentence. We helped UDJ successfully appeal his conviction and sentence on the ground of severity. His initial sentence of a $500 fine and conviction was downgraded to a non-conviction order. O’Brien Criminal and Civil Solicitors have assisted a large number of clients on their drug possession charges. 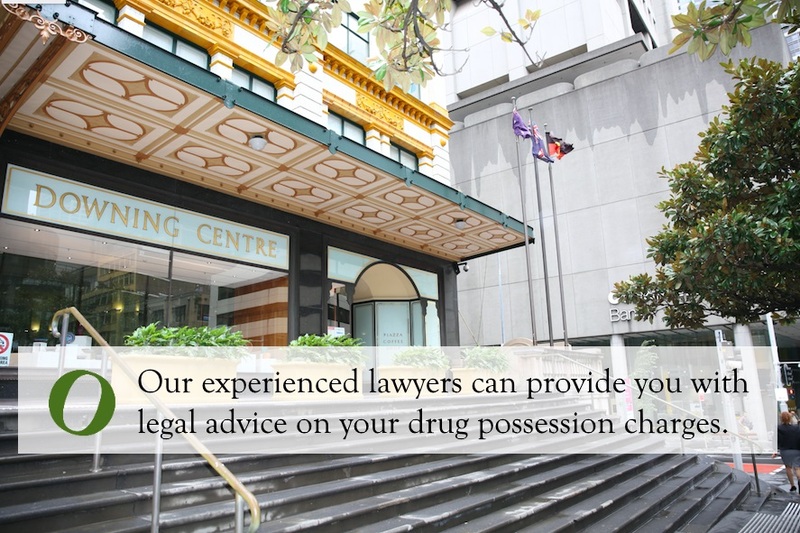 Call us on (02) 9261 4281 to book a free initial consultation where you can speak to an experienced drug lawyer. Alternatively, you can leave us a message through our contact form. O’Brien Criminal and Civil Solicitors are experienced drug lawyers.